La Quinta Inn Dallas LBJ Dallas, Hotel null. Limited Time Offer! La Quinta Inn Dallas LBJ / Central. 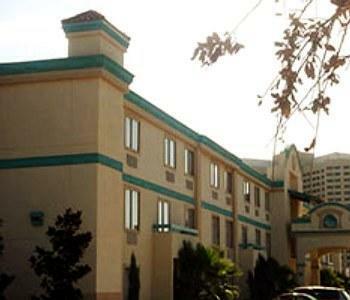 "La Quinta Inn Dallas LBJ / Central" is a hotel that has acquired 2 stars. It is an ideal base point from which to explore Dallas. The total number of rooms featured is 90. High temperatures are kept outside thanks to the air conditioning. You can have fun at the outdoor swimming pool. By taking part in golf you have the opportunity to make your stay more active. Furthermore, there is a golf course and a gym where visitors have the opportunity to work out by themselves. After all your busy activities, the jacuzzi is the ideal place to relax. The accommodation has its own restaurant to serve you dinner as well as continental breakfast, which is included in your stay. Of course, Internet access is offered at no extra charge. 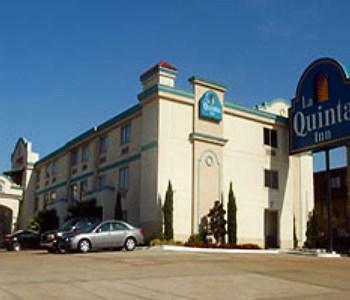 Located in a suburb close to Dallas, the La Quinta Inn Dallas LBJ Central is near the highway, offering quick and easy access to downtown Dallas and its numerous attractions. 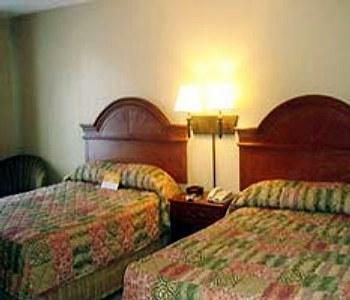 You are sure to appreciate the hotel’s peaceful and restful environment as well as the friendly staff. 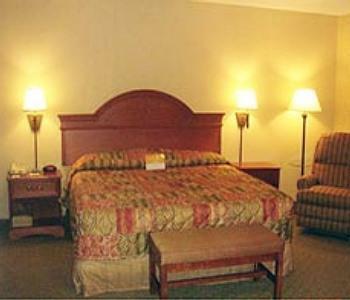 The guestrooms feature a lovely floral theme and dark wood furnishing, making for a relaxing feel. All are equipped with a high-speed Internet connection, cable television, a microwave, a fridge and a coffeemaker. The breakfast buffet is generous and varied to help you start your day off right. Stop by the hotel pool and solarium or spa. The fitness centre is open 24 hours a day. A business centre and meeting rooms are also available. A number of shopping centres can be found in the area around The La Quinta Inn Dallas LBJ Central, including the Valley View Mall, located just 4 kilometres away. The Six Flags Over Texas amusement park is 41 kilometres from the hotel while Texas Stadium is 20 kilometres away.